Plus, besides the two performances, we have something else to look forward to–a workshop and concert by Deb Porter, a true Texas ukulele (and dulcimer) songbird. Deb has been traveling all over, making CDs, and singing for years. On Thursday, June 20, she’ll be presenting a workshop, “S.U.C.C.E.S.S. 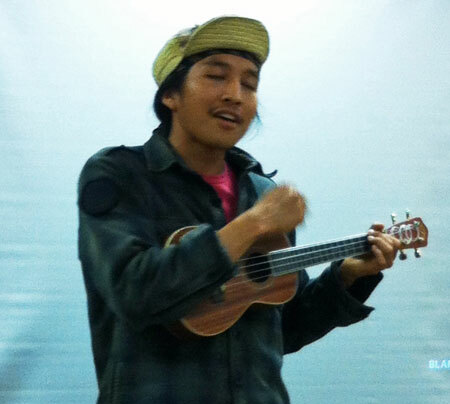 : Smile, U Can Completely Enjoy Singing and Strumming!” and a concert, at a spot soon to be announced. She’ll te ach us how to build our confidence when we sing, and how to tailor our ukulele arrangements to fit our voices. Plus, she promises to teach us how to yodel. More details soon! During the solo section of the meeting, several of our in-house performers–Derek, Woody, Jack, Steve, Bob, and Gary (plus yours truly, Walter)–played and sang for us in a bagful of styles. If you are interested in performing before the friendliest and least critical audience you’ll ever find, you should come to our meetings and raise your hand when Bob asks for volunteers. 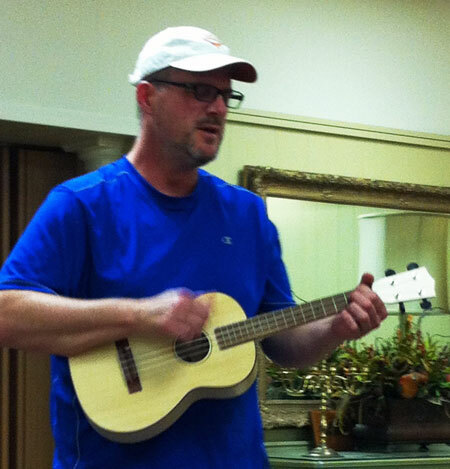 This entry was posted in AUS activities on April 12, 2013 by Austin Ukulele Society.